Like in the past few Generations, Mystery Gift is not unlocked by any special password. Instead, the Mystery Gift feature is available on the menu as soon as you get Connectivity Features in the early game. 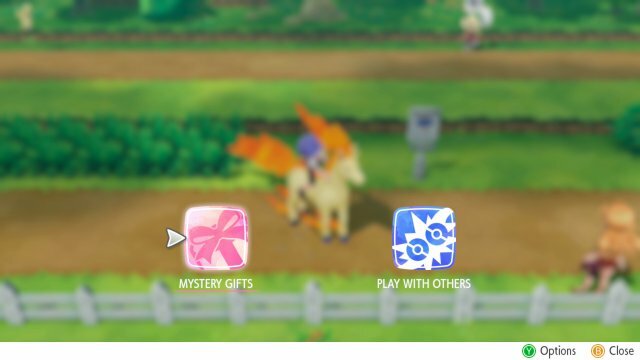 This will allow you to easily be able to get Mystery Gift and be able to access the gifts when they come. 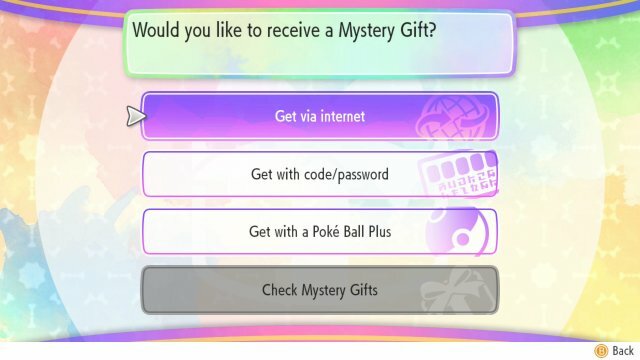 When you enter Mystery Gift and go to Receive the Gift, you will be presented with four different options on how to proceed. These are all used in order to retrieve various events and the methods used depends on the location and type of the event. Unlike the DS and 3DS games, there are no Wireless or InfaRed options to receive gifts. This way is another which requires the Internet. Various distributions will be given where you will get a Serial Code. This Serial Code can only be used once and needs to be entered into the form to be received. There are also special Codes which are shared by all players so they can use the same code to receive the Pokémon being distributed. When you download an event, you will be given a special Wonder Card. This card holds the details of the distribution. The cards are stored in the Card Album and you can hold many different Wonder Cards at any one time. 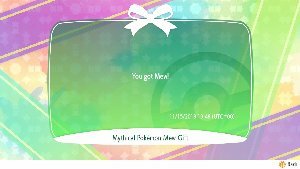 Pokémon distributions have a Purple card while item distributions have a turquoise card. 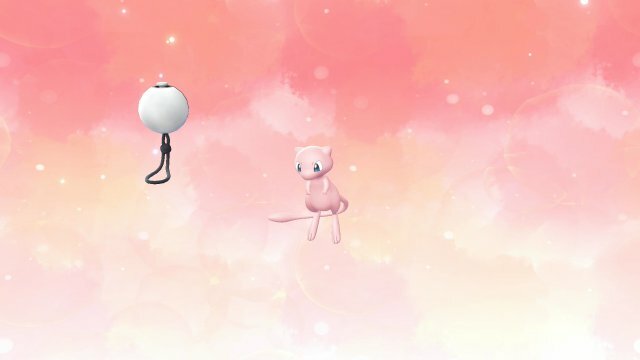 A new feature is also that a Pokémon distribution may also come with a special item that gets picked up at the same time. This item is not held by the Pokémon but rather comes separately.